Apple CEO Tim Cook likes to get close to the fans. 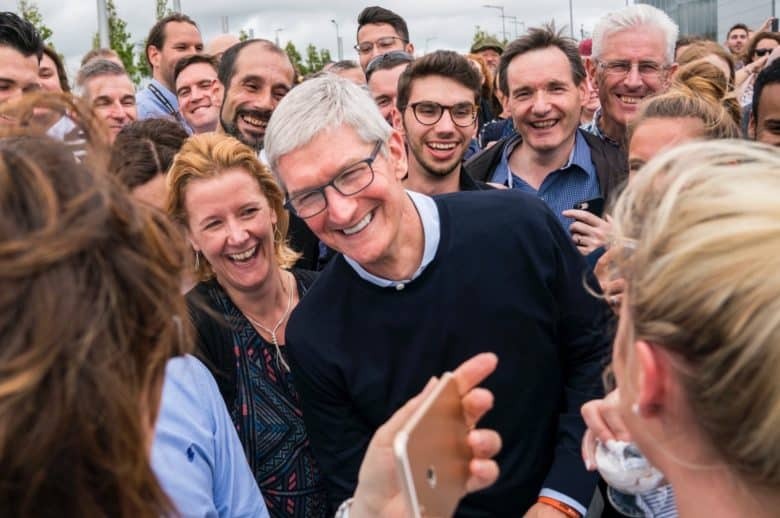 Apple CEO Tim Cook made a quick stop in Ireland this week where he promised the country he’s interested in it for more than its sweet tax rate. The company’s relationship with Ireland has been rocky the last year. Apple scrapped plans to build a billion-dollar data center and lost its tax deal, but Cook says he’s still as committed to the country as ever. Apple currently has 6,000 employees in Ireland and over 300 suppliers. It also provides a boost to the economy through its App Store. The company estimates that there are 17,000 iOS developers in the country. Ireland has the 19th largest app economy in the world and 12th largest in Europe, based on Apple’s numbers. The country is also the site of Apple’s only completely-owned manufacturing facility. The plant builds custom configured iMacs for customers in Europe.